I have been mulling over if I should write about this ever since they announced the title for Man of Steel’s sequel. I was pretty annoyed by it but I didn’t want my emotions to cloud my judgement. I wanted to be fair and cool down a bit. Maybe it wasn’t going to be a big deal once I thought about it for a while. Maybe I wouldh’ve understood the logic after looking at it from all angles. It’s been two week. Nope. I still think it’s stupid. On with the rant! At last year’s San Diego Comic-Con, Zack Snyder made it official that there will be a sequel to Man of Steel. But, this time, he won’t be alone. He’ll be joined by a another superhero. Mr. Snyder also gave a very not-so-subtle hint that the new movie will be taking a lot of cues from a particular iconic comic book mini-series… Here, take a look at the announcement. Longtime comic book fans instantly recognized the monologue and who delivered it. It was none other but The Caped Crusader himself, Batman, way back in 1986 after besting Superman in the final issue of The Dark Knight Returns. This revelation blew the minds of the fans at Comic-Con! This was really big news! 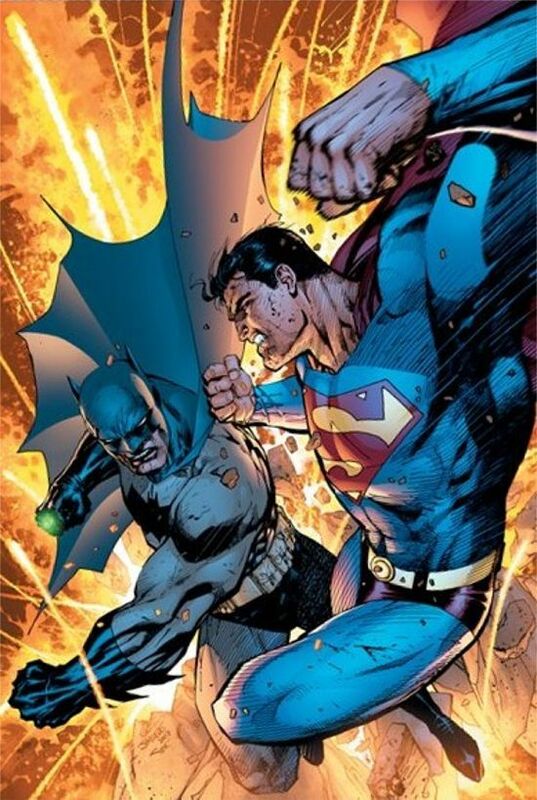 Batman was going to either face off against Superman (a dream match of sorts) or team up with him like they did in the World’s Finest comic book series. Then… it just wasn’t just them anymore. Honestly, I was okay with all of this. I guess they were going to make this the Justice League film. But, no. On the 28th of May, they revealed the official title of the movie. Just rolls of the tongue, doesn’t it? Okay, that’s where I draw the line! The title sounds incredibly stupid! Besides that, I have a lot of problems with it. Let’s look at the first part of the title, shall we? For one thing, this is supposed to be a sequel to Man of Steel, right? Well, how come Superman (the Man of Steel) gets second billing to Batman? It looks like DC realized that Batman is a much bigger draw (and, honestly, he is) and pushed Superman to the background just a little bit. And I think that’s a shame. Also… “V.” Really? You guys don’t even have the guts to make it a Vs. movie and decided to wimp out and use the letter “V.” Is it a minor thing? Maybe. Are both heroes going to fight each other? Probably, since you already said you pulled the quote from The Dark Knight Returns after Batman beat Superman! So, if they are going to fight each other, stop trying to be cute and call it a Vs. movie already! I don’t think they’ll show a clear cut winner in the movie. I also have issues with the second part, the “Dawn of Justice” portion of the title. For one, we all know this movie is going to be a prequel for The Justice League movie, a movie that I feel DC is rushing to produce even since Marvel hit it big with The Avengers. But, since the studio believes that their other superheroes will flop in the box office (*cough* Green Lantern *cough*), they’re just going to not produce individual superhero movies and jump right in and make the big team up film. But to blatantly plaster it on the title of the movie just before The Justice League movie? That’s just pandering! It removes a lot of the mystery! When Marvel decided to push through with Phase One (starting with Iron Man and ending with The Avengers), there was an enormous feeling of anticipation for it. It was only hinted at in the first Iron Man and then, slowly but surely, we saw how it was culminating into getting all of these superheroes into one movie. DC is going the opposite direction and blowing their load quickly. Also, “Dawn of Justice” just doesn’t have that epic sound. It sounds like that other awful Zach Snyder movie. 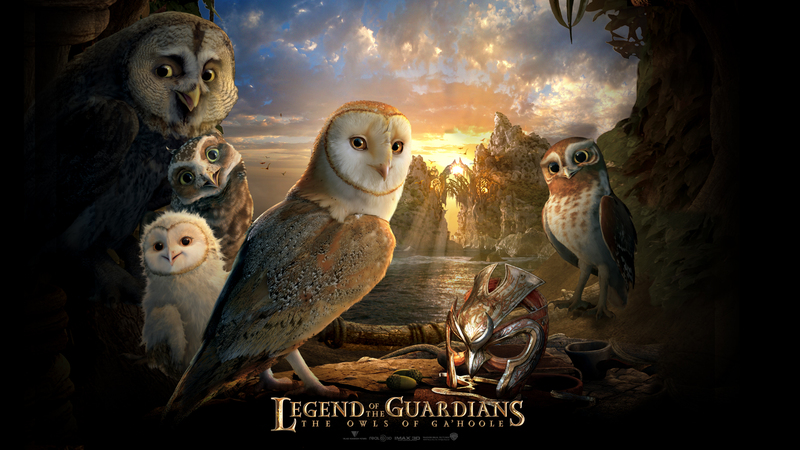 The one with the owls who fight other owls… Legends of The Guardians: The Owls of Ga’Hoole, that’s it! I honestly had to look it up while writing this article since the title was so bland and forgettable… much like Dawn of Justice. Yes, they actually made a movie about owls that fight evil owls. Now, I’m not saying the movie is going to be bad. I’m hoping it’s not. I have, like a whole lot of comic book lovers, been dying to see a live-action movie where The Dark Knight takes on The Man of Tomorrow for ages. I’m just saying the title of the movie just doesn’t inspire a lot of confidence that it’ll be good. If it turns out to be bad, then it’ll be an awful movie to go along with an awful title. Prove me wrong, Zach Snyder. Please prove me wrong. What do you think of the title of Batman v. Superman: Dawn of Justice? Is it a good title or is it bad? Whatever your stance is, please leave it in the comments section below.